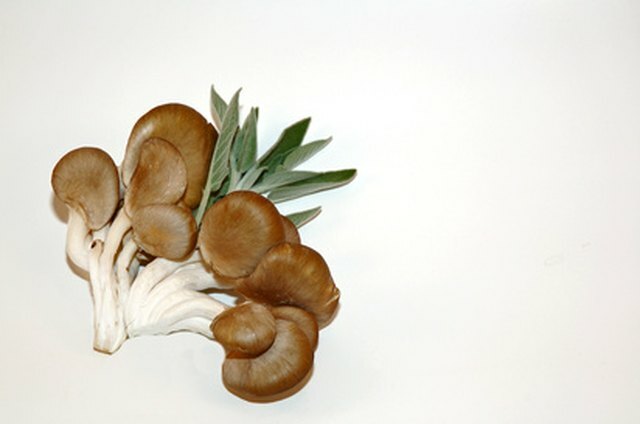 Oyster mushrooms are an easily cultivated, edible fungus, according to the Mushroom Appreciation website. They grow on hardwoods, feeding on dead and decaying matter, and can reach up to 10 inches in width across their fanlike caps. 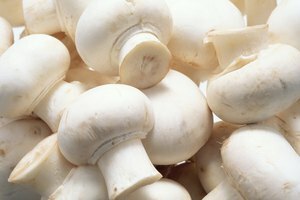 These versatile mushrooms are commonly used in soups, stews and sauces, but caution should be taken to avoid using them if they’re spoiled. Oyster mushrooms go bad quickly, and can cause illness if eaten after expiration. Look for discoloration. Oyster mushrooms are usually a shade of light gray or brown, although color varies depending on variety. If the mushrooms appear much darker than when they were picked or purchased, or if they develop dark spots or blemishes, they have gone bad, according to the Ohio State University website. Feel the skin of the mushroom. Fresh oyster mushrooms are dry. If the texture is damp or slimy, the mushroom is bad, according to the Real Thai Recipes website. Gently squeeze the mushroom. 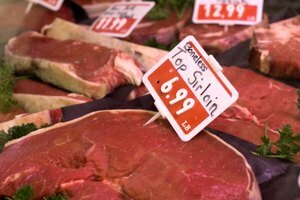 If the mushroom is fresh, the skin will be firm, but the meat will be soft and slightly spongy. If the mushroom is hard, brittle or dry, it’s gone bad, according to the Ohio State University website. Smell the mushroom. An ammonia-like smell is a sign that it’s gone bad. 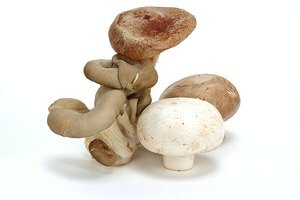 Mushrooms should have a fresh, earthy smell, according to the Ohio State University website. It’s best to use oyster mushrooms as soon as possible after harvesting or purchasing, because they go bad within a few days, according to the Real Thai Recipes website. If you can’t use your oyster mushroom supply immediately, they can be dried for later use. Dried oyster mushrooms reconstitute very well, according to the Mushroom Appreciation website. 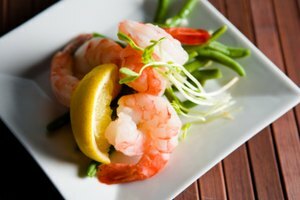 Oyster mushroom spores can cause allergic reactions in some individuals, according to the Mushroom Appreciation website.